Eric is a Senior Consultant and Manger in Forrester's Marketing & Strategy consulting practice. He works Marketing, CX, eCommerce, Digital, and Technology leaders across a variety of industries to help them develop strategies to better win, serve, and retain profitable customers. Working alongside some the world’s largest organizations; Eric has provided guidance and support to clients across a number of disciplines that are top of mind to global firms looking to advance their business strategy and stay relevant in today’s complex world. 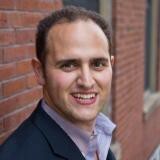 Eric helps clients navigate the evolving marketing and digital landscape to drive profitable and sustainable growth.